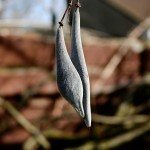 I can recall reading about growing a Wisteria up on a wooden post. 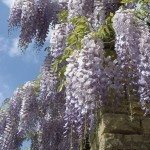 Does anyone recommend growing Wisteria this way, as I do not have a suitable fence. Wisteria will grow up just about anything that is vertical. A post can work, but the only thing to be aware of is that it will quickly outgrow a post. You need to keep on top of it with pruning if grown this way to keep it from being a nuisance.